The movie Labyrinth started, appropriately enough, with a baby. After working on the otherworldly film The Dark Crystal, designer Brian Froud approached Jim Henson about a new story, and presented him with a drawing of a baby surrounded by goblins. Henson, who was recovering from disappointment at the tepid reception to his The Dark Crystal, was intrigued. He saw it as an opportunity to tell a more lighthearted story, since the lore of his previous film was very serious. Striving for a fun tone, Henson brought on Monty Python’s Terry Jones to write a script. And while Jones did indeed write a script on which the story was based, soon it was loaded down with contributions from various conflicting writers: George Lucas, Elaine May and Laura Phillips, as well as Henson himself. The original script was much more character-driven, exploring the secret motivations of the Goblin King. Of course, it’s difficult to think about Labyrinth without picturing the imposing presence of David Bowie. Initially, the center of the maze was to be a secret until the climax of the film, but once Bowie was brought on board it became more urgent to feature him in musical numbers. This was just one of the many commercial-based modifications of the story, a process that gradually made the film more complicated and less coherent. Initially, Bowie’s character was to have more of a presence in the real world as a playwright. In disguise, he stole the baby and tried to lure Sarah to be his queen until she reveals his true form: a weak, powerless goblin. Those elements were removed, and various authors punched up comedic elements until the shooting script became a patchwork of different ideas. Various actors besides Bowie and Jennifer Connelly were considered for the lead human roles: as Sarah, filmmakers looked at Jane Krakowski (who would go on to play Jenna on 30 Rock), as well as Ally Sheedy, Marisa Tomei and Sarah Jessica Parker. As Jareth, Henson reportedly considered Sting, Prince and Michael Jackson — all of whom would have brought a very different but equally imposing interpretation to the role. Technically, it was an unbelievably complicated shoot. The sets were extremely dense with puppets, and Henson debuted various new techniques on the film, including a motion-control rig that yielded disastrously fake-looking footage. The human actors had difficulty interacting with the puppet characters. The movie also features the first attempt at creating a realistic organic creature with computer animation — the owl that flies over the opening credits. But for all that work, the film’s reception was mixed. Critics found it difficult to interpret — probably as a result of all the different hands on the script — and there was disagreement about how convincing the character of Sarah really was, since Jennifer Connelly looked quite a bit older than the character needed to be. Nevertheless, since then it’s become a famous cult film — particularly of the queer community — and Connelly reports that little girls still recognize her to this day from the film. It’s been the genesis for various conferences, dances and extensive libraries of fan fiction. And, according to screenwriter Nicole Perlman (co-writer of Guardians of the Galaxy), a reboot is currently in development. 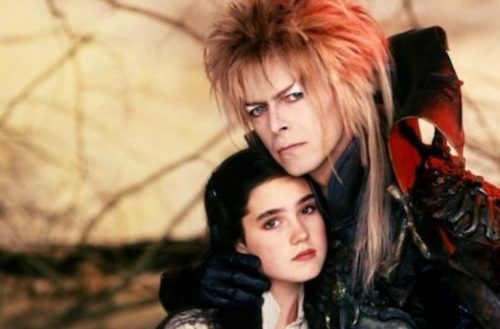 With any luck, the legacy of Labyrinth will soon return to the big screen — minus any of the mistakes that plagued the original.